The school Offers a lot of facilities to the kids like School Transport , Library facility for Parents, Orientation sessions for Parents and Medical Health check-ups for the kids. Apart from offering a vast collection of comprehensive books for the young students, the school also encourages the faculty and the parents to use the Library. This facilitates parents to participate in their child’s growing years and open the wonderful world of books to their children. 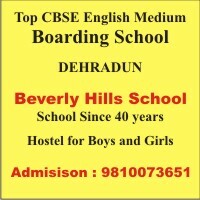 The school organizes an orientation session at the beginning of each academic year. Circulars are sent on a regular basis. Parent teacher meetings are scheduled frequently. Parents are encouraged to take an active part in their children’s development and growth and sharing special interests and talents. The school transport facility is available. Though adequate care is taken for the safety of the children, the school is not responsible for any accident, mishap or injury that may occur outside the school premises or during travel. Rickshaws and Auto rickshaws are not approved as means of school transport. Parents are required to send a written note if child is to be sent back with any other guardian not introduced before. Medical Check-up of all the kids is conducted to ensure they are in good health and proper growth is maintained.